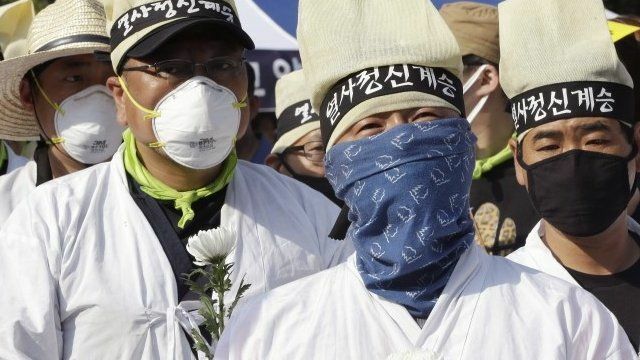 S Korea steps up fight against Mers Jump to media player Fourteen more cases of Middle East Respiratory Syndrome (Mers) have been confirmed in South Korea and a fifth person has died, according to health officials. Inside Saudi Mers command centre Jump to media player Tulip Mazumdar was given exclusive access to Saudi Arabia's new Central Command and Control Centre in Jeddah, where experts are monitoring the spread of Mers. Health chiefs meet over Mers virus Jump to media player The World Health Organization has been meeting to decide whether to declare a public health emergency after a sudden spike in cases of a deadly virus known as Middle East Respiratory Syndrome, or Mers. Mers: Camel traders unalarmed by virus Jump to media player Tulip Mazumdar visits a camel market in Saudi Arabia to see how people feel about Middle East Respiratory Virus being linked to the animals. Several more cases of Middle East Respiratory Syndrome (Mers) have been confirmed in South Korea and a fifth person has died, according to health officials. In an attempt to stop the outbreak from spreading, the government has announced drastic measures including tracking those placed under quarantine. Steven Evans has been looking at how the new containment strategy is being put into practice.